MYSTERY PLANET NAILED CONFIRMATION PLANET UNDER INTELLIGENT CONTROL - WHY is it Watching EARTH? 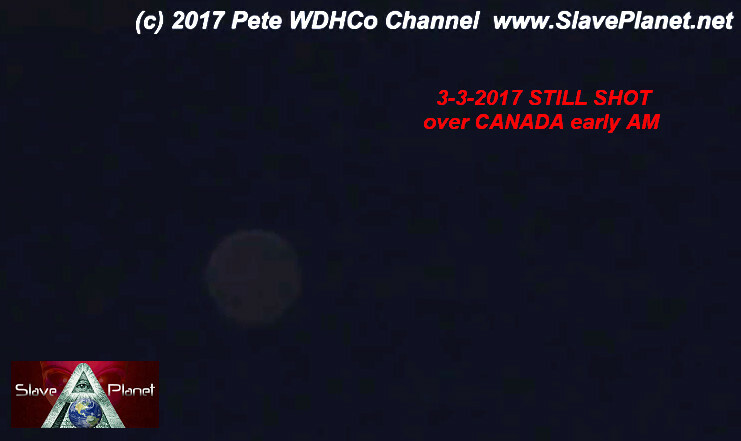 Home > LATEST NEW VIDEOs Articles MYSTERY PLANET NAILED CONFIRMATION PLANET UNDER INTELLIGENT CONTROL - WHY is it Watching EARTH? AFTER 6 Years TELLING YOU & MOST NOT BELIEVING.� The FINAL Confirmation Follows.. THERE IS A PLANET - Monitoring EARTH !! I have gone on and on and with Pictures people have submitted I have told them , time and time again. 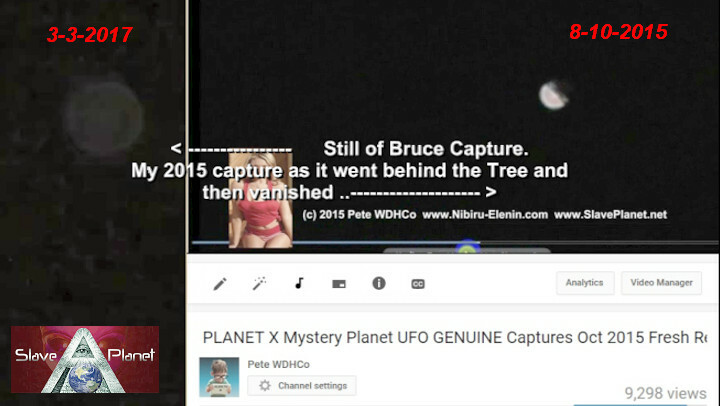 NOT Planet X BUT "THE MYSTERY PLANET"
In Many videos i speak about it,In Many videos i even say in the Titles . 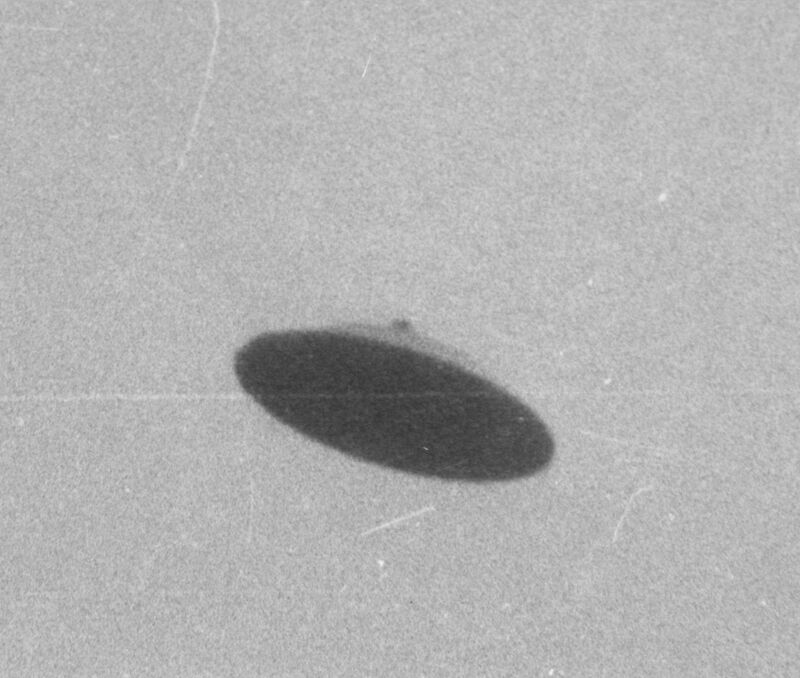 EVENTUALLY AFTER all these years , i have the proof and someone else has been also quick enough to capture it, making the "final confirmation". Many long term subscribers will confirm and know all this. Indeed The problem with this thing is it sits STILL, and then just floats turns and its away !!! Many assume it is a star, as it looks that way. It "IS" Responsible for most the sightings people say is Planet X. IT IS NOT "THIS Has intelligent control, i have seen it turn angles !" HERE IS A QUICK RECAP of MY OWN Moving camera capture. Then we shall move to the 3rd March 2017 FRESH Capture, This when i saw it hit me straight away, he got it ! thats it nailed, That is the Blighter ! Captured by "Bruce sees all" a top notch sky and moon photographer. IF YOUR IN TO MOON Pics in color and fine detail, Bruce is the man . WATCH THE FULL VIDEO - And you will see PROOF Beyond all doubt, THIS PLANET IS MONITORING EARTH - FACT� Get used to the idea. NOTE On Video ;� Film Clip (c)2017 "Bruce Sees All "YT Channel Used with Permission and BIG thanks to Bruce. For Confirming i was right "again" all these years ..